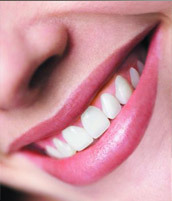 Comfortable, relaxed dentistry is nearly always pain free. Peter uses rubber dam to isolate the teeth and to avoid the ingestion of filling materials. His practice is air conditioned to provide optimum comfort, and he uses the latest equipment for smooth, quiet operation and minimum vibration. Please tell us if you feel anxious about your visit. Peter can provide you with some techniques to relax. Peter also has oral sedation available. Peter maintains the highest level of cross infection control by constantly updating his techniques and following the guidelines given by the Australian Dental Association. All instruments and hand pieces are autoclaved, and he disposes of all surgical accessories. Peter always wear rubber gloves and face masks. Your safety is his priority. Music is an excellent way to help you relax, so settle back and relax to some tunes. You are very welcome to bring your own.